Annie Sloan defines this color as a rich deep warm red the color of dark cherries. Most of Annie's colors are 18th and 20th century inspired but this one comes from the 19th century when the discovery of Alizarin Crimson made this color possible for the first time to a large number of people. 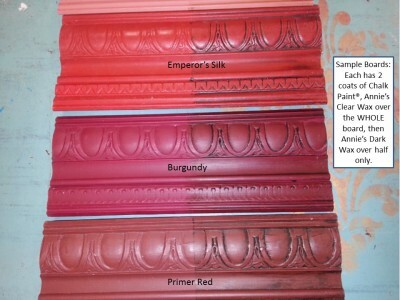 It is now one of the classic colors used in particular for neo-classical painted furniture. 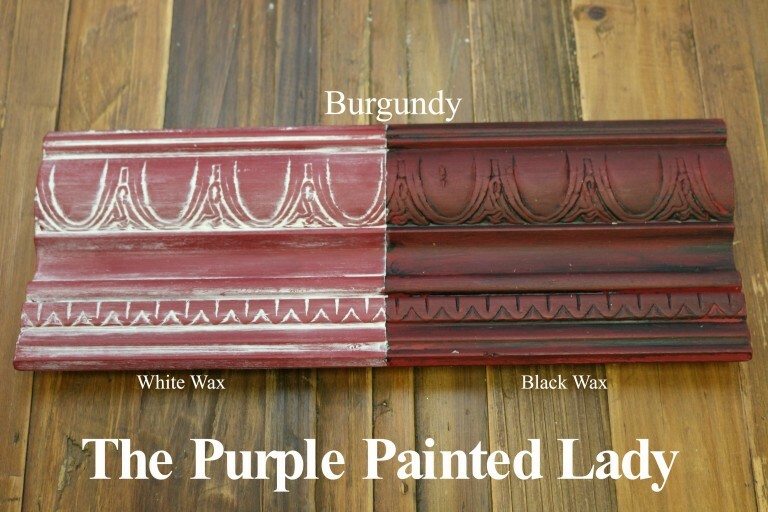 The Purple Painted Lady has found Burgundy to be interesting, in that the color appears to almost be like a bright berry color when wet. Once dry, it deepens and is a significantly richer color. We love this paired with both the clear and dark wax. Using dark wax deepens the color even more. (Look at the additional photos below to see images that show examples of the difference in the wet and dry paint color.) Also- note the image of the Burgundy sample board, placed next to the Emperor's Silk and Primer Red board- to get a better understanding of the difference in the colors.